Are necessary for obtaining information about a federal benefit and/or service, or for filing taxes. Provide information about a federal benefit and/or service. Explain to the public how to comply with a requirement that the federal government administers or enforces. In July of this year, the Consumer Financial Protection Bureau (CFPB) issued their annual report documenting the efforts they have taken to remain compliant with the requirements of the PWA, as well as related Executive Orders. The report details the CFPB’s continuing efforts to comply with the PWA, and promote the use of plain writing throughout their work. Because of the nature of their mission, the CFPB has gone beyond the bare requirements of the law, and has expanded compliance to internal and external documents that are intended to provide consumers greater visibility into their financial dealings. Committed to speaking and writing in plain language so the public can make better use of their tools and resources. Committed to supporting and empowering consumers with the information, tools and skills they need to make financial decisions to meet their own life goals. Committed to providing effective financial education. The CFPB has taken plain language on as a core mission because of the nature of their work, and the report details some of those efforts. The work is being done in each of three categories, including Consumer-Facing content, Technical and Specialized documents, and Regulations. While the CFPB’s commitment to plain language extends to each of the categories, it does not always affect each in the same way. 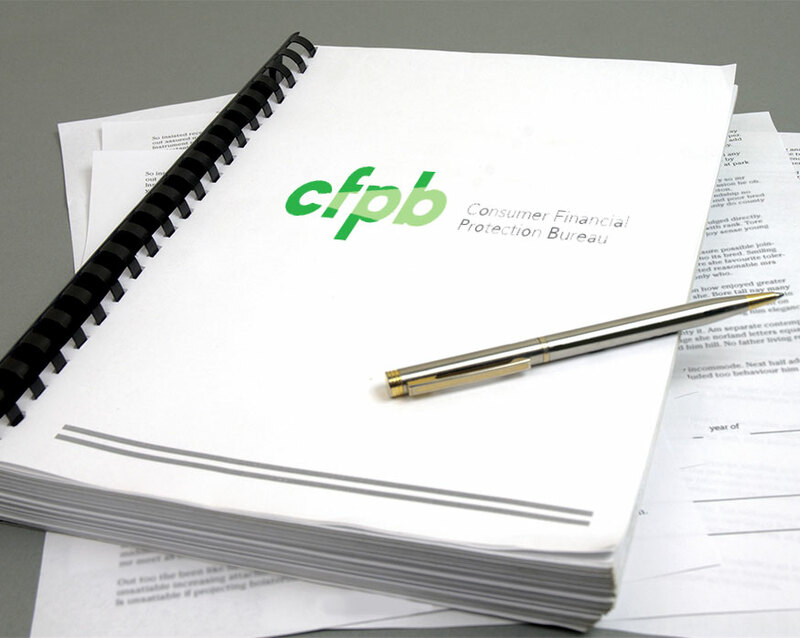 The CFPB has adopted plain language as a core principle for all consumer-facing content, and has applied plain language principles in their consumer print and online materials, including brochures, web content, blog posts and social media. The goal is to provide information to help consumers make financial choices to meet their own life goals, provide information to consumers about their rights under the Federal consumer financial laws, and inform consumers about the Bureau’s activities. The CFPB has adopted a “user-centered” approach, and tests external and internal facing content through the design process, going so far as to co-design information products with its audience. Ask CFPB (online tool) provides answers to over 1,000 questions about financial products and services, including mortgages, credit cards and fixing errors in a credit report. Written guides to walk consumers through opening and managing checking accounts. Written guides for older Americans and their families to prevent financial abuse. Information about paying for College. Information about planning for Retirement. For CFPB documents that deal with technical or specialized topics that are particular to a specialized audience, the plain language requirements still apply even though the complexity of the topic and the subject-matter expertise of the audience are taken into account. In addition, in an effort to provide greater transparency, the CFPB may publish BOTH a technical document that speaks directly to a regulated entity, and a plain-language summary that is targeted to consumers that may be affected by that regulated entity. For example, the CFPB published a real estate professional’s guide that has this “dual characteristic” in 2016. Real estate professionals are a specialized, technical group of professionals that are affected by the work of the CFPB, but are equally in relationship with the public. Knowing that the public may or may not be able to understand complex regulations that can apply to the work of real estate professionals, but will still be directly affected by real estate regulations, the CFPB published their real estate professional’s guide in plain language. The CFPB also highlights a number of on-going resources they make available to their internal audience/employees, as a part of their continuing efforts to internalize the value of plain language. Intranet – An internal digital hub which includes information on the Plain Writing Act and resources for effective plain writing, training materials, practical tips, style guidelines and tools. Training – In-person and online training on writing skills, and the Plain Writing Act, through a Learning Management System. Because of their broad and consumer-facing mission, the CFPB has worked diligently to incorporate plain language into every part of their work, and the 2016 report shows the fruit of those continuing efforts.